The only compound that generates new mitochondria. It is no secret that losing weight is a difficult task. 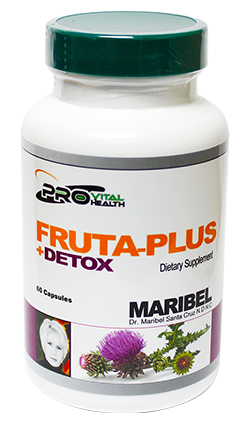 If you have tried a lot of strenuous diets and you have not succeeded, maybe you should give FRUTA-PLUS a try. FRUTA-PLUS is highly beneficial when it comes to burning fat, reducing the abdomen and controlling cholesterol and plasma glucose, thanks to its wide variety of macro and micro nutrients. It also helps to balance ghrelin, adipesin, adiponectin and leptin, key hormones for weight loss and combat obesity. Control weight and fight obesity. Reduce the waist and hips contour. Improve skin tone and complexion. Obtain the integral contribution of energy you need to increase metabolism. Eliminates toxins and waste from the body. Combat diabetes, obtain cardiovascular and neurocerebral protection. Improvement of energy to the mitochondria.